Theoretical and experimental physicists came together this week at Fermilab to discuss recent developments in the field of particle physics. The Supersymmetry 2011 International Conference on Supersymmetry and Unification of Fundamental Interactions (SUSY 2011) comes to a close today, Sept. 2. The conference, held since 1993, invites participants to analyze new high-energy physics concepts on an international scale. A different physics laboratory or university hosts the conference each time. 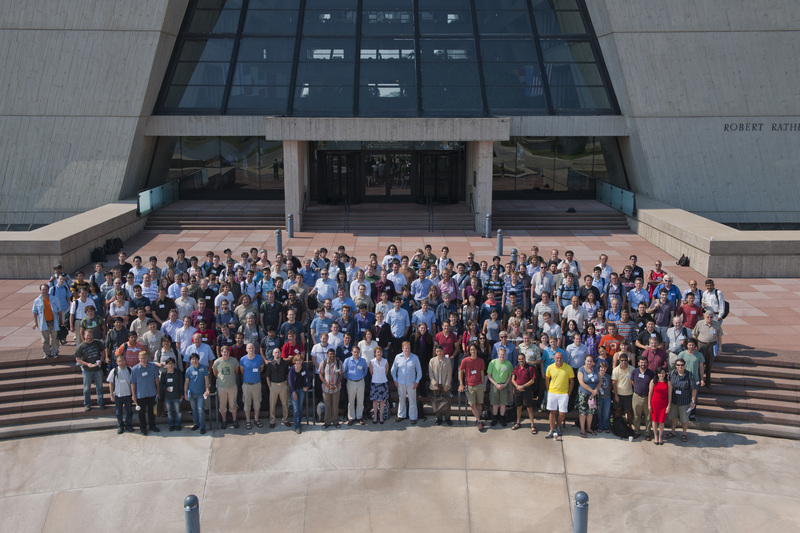 This is the second time Fermilab held the SUSY conference. Carena and Joe Lykken, particle theorist and co-chair of SUSY 2011, also chaired the first Fermilab SUSY conference in 1999. The number of participants doubled to 350 people, half of who are international. 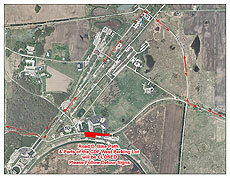 Registrants traveled to Fermilab from as far away as China and India. Boiling sea of particles in space may create repulsive gravity. Dark matter is thought to be an invisible substance that makes up almost a quarter of the mass in the universe. The concept was first proposed in 1933 to explain why the outer galaxies in galaxy clusters orbit faster than they should, based on the galaxies' visible mass. At the observed speeds, the outer galaxies should be flung out into space, since the clusters don't appear to have enough mass to keep the galaxies at their edges gravitationally bound. The latest results from the Large Hadron Collider serve as a reality check for expectations that radical scientific discoveries are just around the corner. A month ago, folks were buzzing about prospects that the elusive Higgs boson might soon be found. This week, they're talking about how the Higgs boson, as well as other exotic ideas such as supersymmetry and superstring theory, might be merely a will o' the wisp. Reservations about the imminent revolution in particle physics cropped up in the wake of last week's Lepton Photon conference in Mumbai, India. Some observers speculated that fresh results could confirm an anomalous "bump" in earlier data from the LHC's two main detectors. 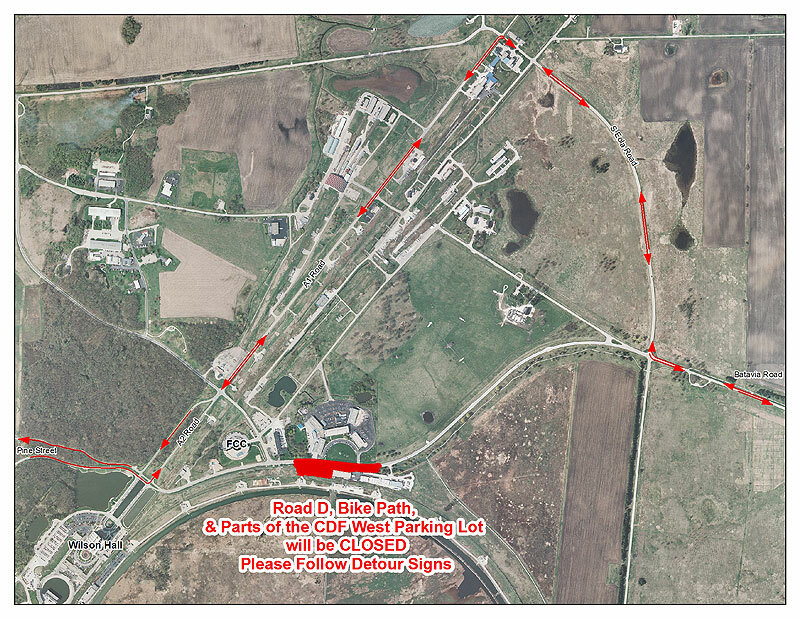 Sections of Road D, the bike path and the CDF west parking lot will be closed for approximately three weeks beginning Tuesday, Sept. 6, to allow for utility trenching and road realignment. Please follow the detour signs. The power of the CAT scan to find tumours or bone fractures has advanced medical science by bringing such ailments to X-ray light, foregoing the need to cut a body open for diagnosis. 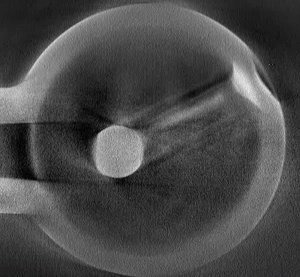 As particle accelerator research makes its own advances, scientists are exploiting the X-ray in similar ways. Researchers at the US Department of Energy Fermi National Accelerator Laboratory have been using X-ray computed tomography (CT) to take their search for faults in accelerator cavities and associated structures beneath the surface. Penetrating X-rays can reveal performance-limiting cracks and holes that would otherwise go undetected. “It’s been a really cool tool for us,” said Fermilab’s Elvin Harms. Unlike its most familiar application in the medical field, X-ray tomography isn’t used to to view a cavity’s innards – there’s nothing in a cavity but empty space. But flaws and other weakness can hide within a cavity’s walls or other places, such as cavity end groups, that are tough to access without breaking cavities apart. The method of diagnosis of a cavity by X-rays is fundamentally the same as that of a patient in a CAT (computed axial tomography) scanner. It begins by placing the suspected-broken structure inside a radiation-safe X-ray cabinet, between the X-ray tube and a digital detector. The differences in material thickness and density attenuate the X-rays differently. Find new classified ads on Fermilab Today.